We begin to see the first signs of cobia when the menhaden return to coast of Myrtle Beach in the Spring. Running the beaches looking for the big schools of bait, and casting artificial lures, flies, or live bait is very effective for catching cobia. 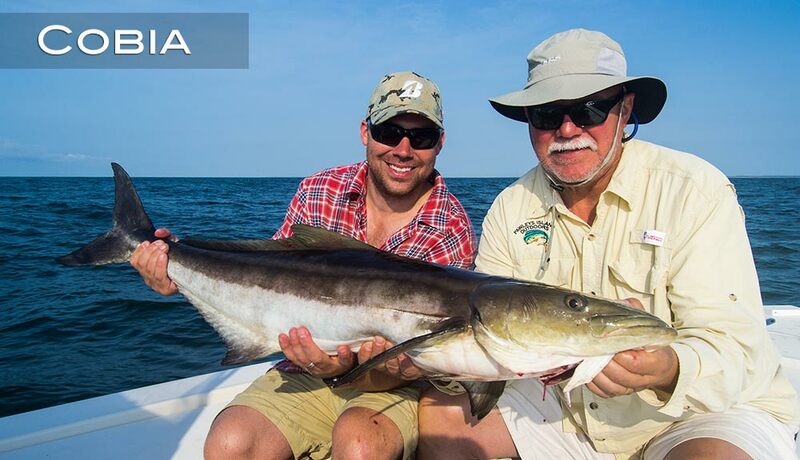 April and May are perhaps the best months to sight fish for migrating cobia, however we catch them all Summer long and into the Fall.